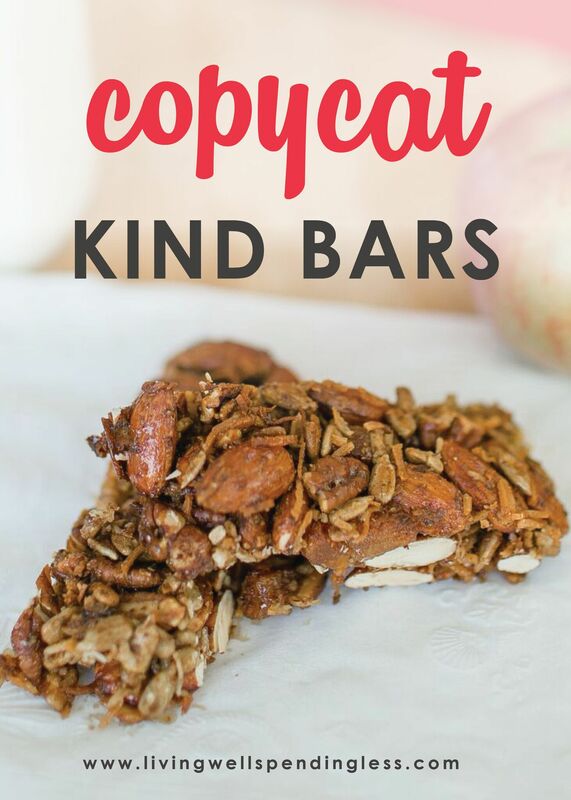 I absolutely LOVE Kind Bars. 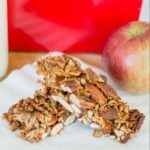 They are so wholesome, packed with protein, easy to travel with and just an awesome snack choice. 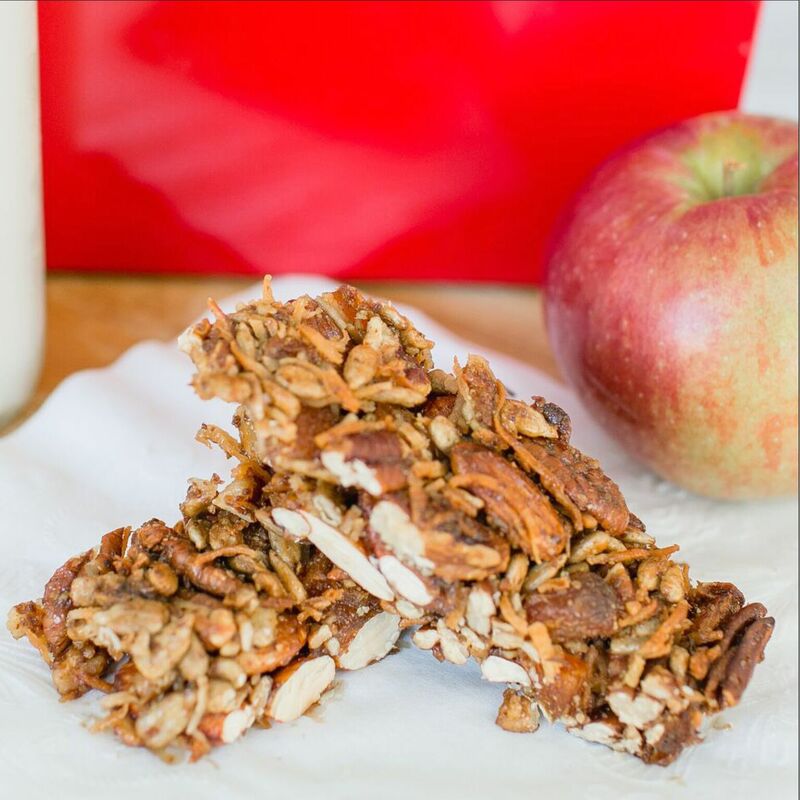 The benefits of Kind Bars are that the ingredients are natural, and you know exactly what you’re getting in each bar. I also love that they come in lots of different flavors and give you just enough sweetness to keep your sweet tooth happy while eating something healthy. But they are not that gentle on my wallet. Every time I get one in line at Starbucks or buy a box at the store, I feel a little twinge of regret for the price tag. That’s not what you should feel when you’re buying something that’s good for your health, and it’s shouldn’t be what keeps you eating less “kind” foods for your body. That is why I wanted to create a “Kind” bar of my own. And while it took some trial and error and I still might change some things up still. I think this recipe is pretty great. It doesn’t use any crazy ingredients and you can substitute some of your favorite dry fruits or nuts for the ones listed here. My girls also liked the bars broken up over their yogurt and also mixed in with their morning oatmeal. Once you buy the ingredients, you’ll be able to reuse them for multiple batches. So it becomes a HUGE savings that you can feel good about all around. Step 1: Preheat oven to 325, chop apricots into bit size pieces, then set aside. 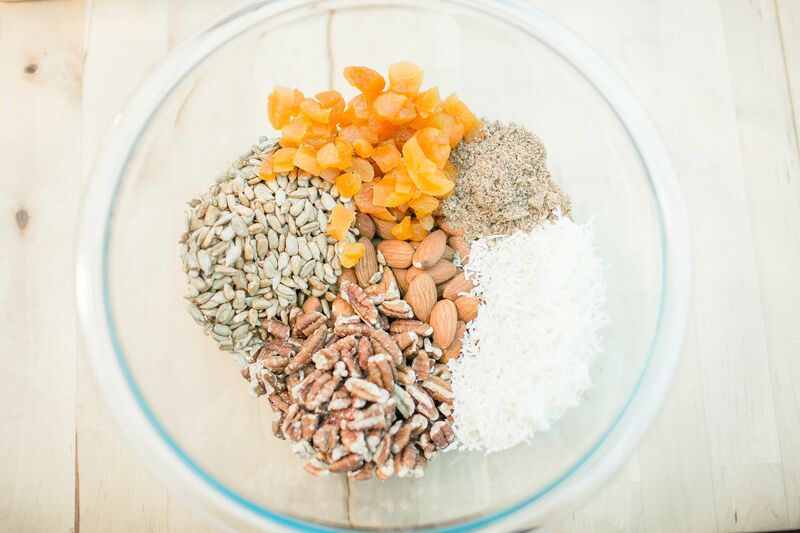 Step 2: In a large bowl mix together; the almonds, pecans, sunflower kernels, coconut, flax seed and then add apricots. Mix until well combined. Step 3: Then heat honey in microwave and add over nut mixture. Stir in honey until well mixed. Step 4: Then pour into parchment lined 8×8 glass baking dish. Step 5: Bake for 30-40 minutes, then let cool for 1 hour or longer. Step 6: Cut into 12 bars. Enjoy immediately or store in an airtight container for 1-2 weeks. 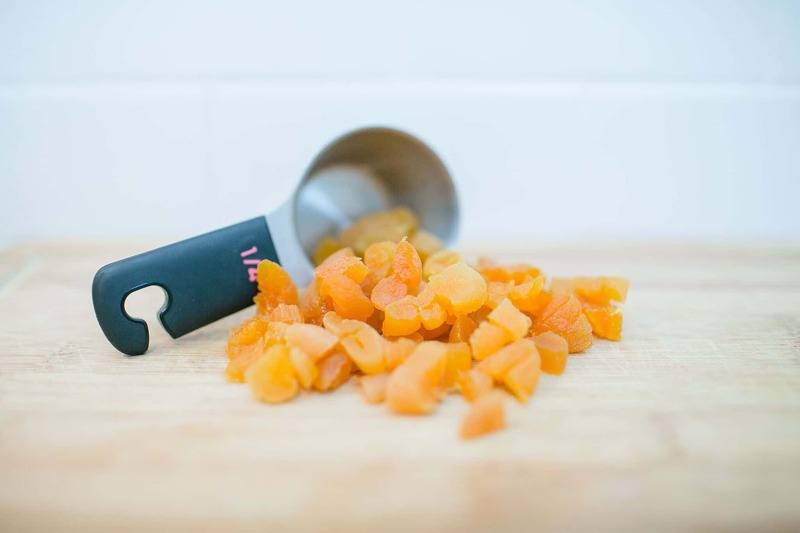 Recipe Notes: You can also substitute dried cranberries for the apricots and use different nut combinations. 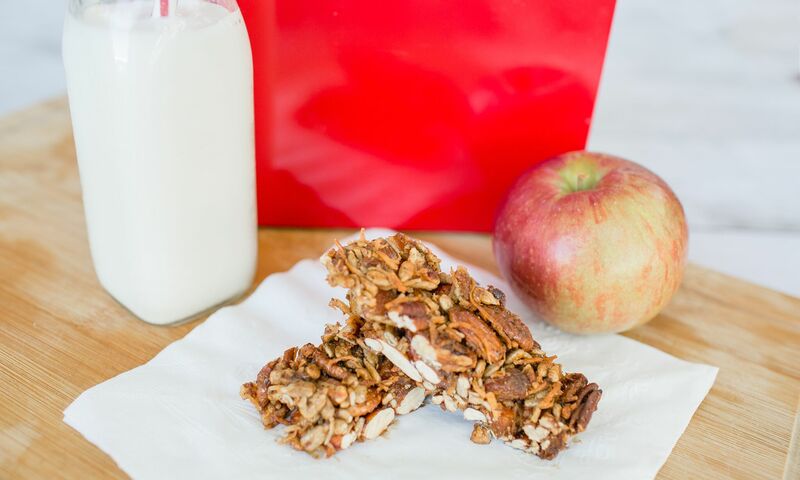 These nutty fruit bars come together with delicious wholesome ingredients and are gluten-free, dairy free and oh so good! Preheat oven to 325, chop apricots into bit size pieces, then set aside. 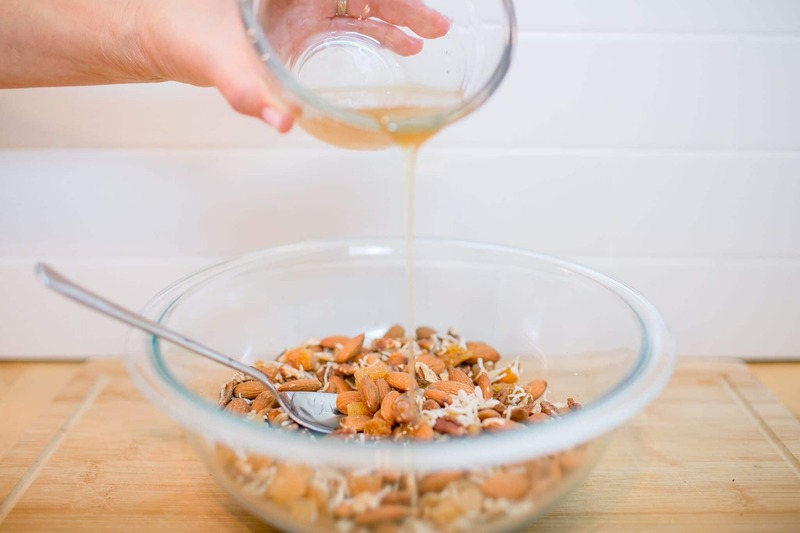 In a large bowl mix together; the almonds, pecans, sunflower kernels, coconut, flax seed and then add apricots. Mix until well combined. Then heat honey in microwave and add over nut mixture. Stir in honey until well mixed. Then pour into parchment lined 8x8 glass baking dish. Bake for 30-40 minutes, then let cool for 1 hour or longer. Cut into 12 bars. Enjoy immediately or store in an airtight container for 1-2 weeks. 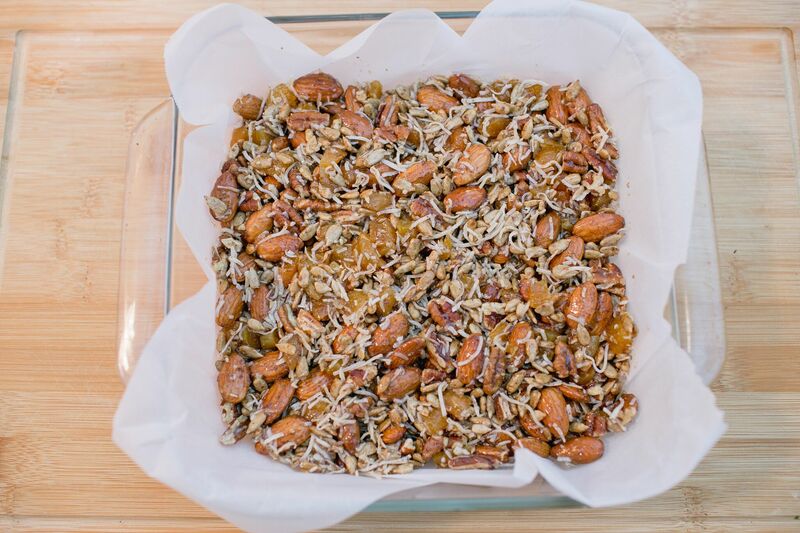 You can also substitute dried cranberries for the apricots and use different nut combinations. I love the idea of using wholesome ingredients and no plain sugar. I will def try the cranberry option! 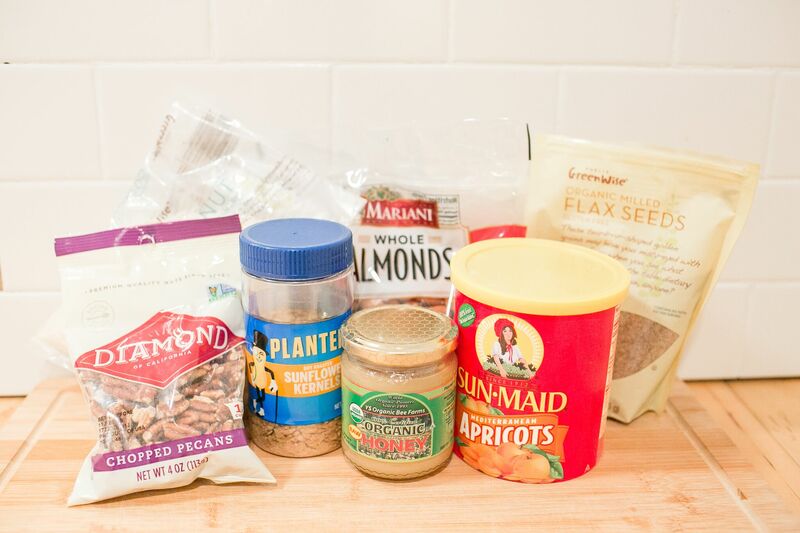 These will make great energy bars for long hours at the desk and they sound really easy to make. Thanks for sharing this recipe! I have to eat GF for health reasons and I hate paying the sky high prices for GF items. 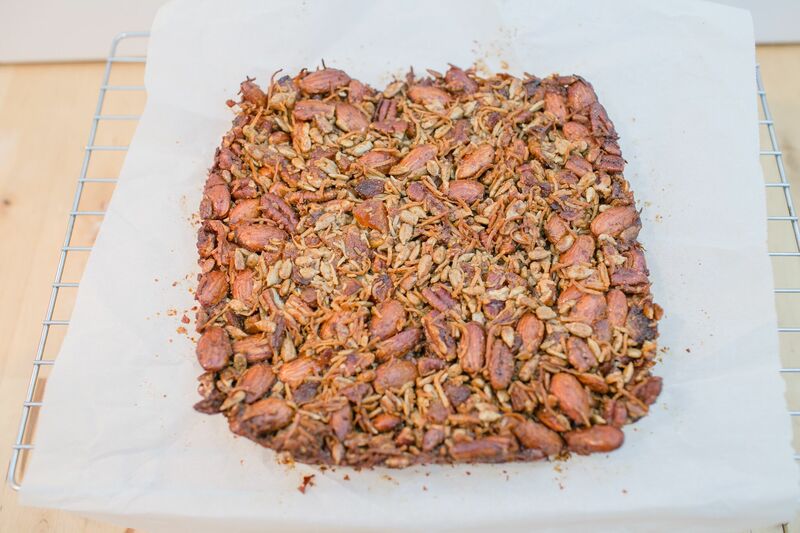 I can’t wait to try this recipe and begin experimenting with the different types of nuts and dried fruits. That looks delicious! I love kind bars! I will try this recipe and see if I can create more. Thanks! I was just looking at bar recipes not so long ago. This looks like a winner! thank you! How are these on crumbliness? Other bars I’ve tried tend to fall apart in tiny pieces and make messes no matter what. They look good, apricot sounds so good. I’m going to have to pick up some dried fruit and honey and try them out. Just to confirm: 1/4 cup plus 1 tablespoon honey? The first unit measure is awol. Thanks! I made them with sweetened cranberries instead of the apricot and they turned out well. The cooling hour was the most important part otherwise I just wanted to sprinkle it over ice cream but once they were solid I had a nutritious snack. I count calories so each bar was about 150. I’m so glad you liked the recipe Sara! You are right about the cooling time. It is so important for these bars to stay together.